FREE SHIPPING OVER $150 IN USA (SORRY NO HI/AK), FREE SHIPPING OVER $300 TO CANADA/ALASKA/HAWAII. JUST PUT YOUR ADDRESS IN AT CHECKOUT TO RECEIVE THESE FREE SHIPPING DEALS!! SO COOL. SHIPPING UPDATE : SHIPPING UPDATE FOR APRIL -- NO SHIPPING DELAYS. FREE SHIPPING OVER $150 AS USUAL. YOURS TRULY, TREATLAND, INTERNATIONAL FRIEND OF MOPED. 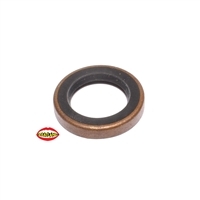 mazzucchelli vespa piaggio 10 pin SPECIAL COMPETITION racing crankshaft for all vespa moped engines. longest intake duration, ++++ the crank features a hole on one end for the pinasco dual carb setup!!! mazzucchelli vespa piaggio 12 pin SPECIAL COMPETITION racing crankshaft for all vespa moped engines. longest intake duration, ++++ the crank features a hole on one end for the pinasco dual carb setup!!! mazzucchelli vespa piaggio 12 pin double full lobe racing crankshaft for special uses only! 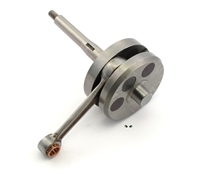 mazzucchelli 12 pin racing crankshaft for all vespa piaggio mopeds. ciao, bravo, grande, si . . .and the rest. this is the standard model, if you can call it that. by standard i mean better than any other brand of crank. standard intake duration. this will not fit the vespa malossi reed valve cases, as the lobes are too big, you might be able to modify it to work...otherwise no go, sorry! 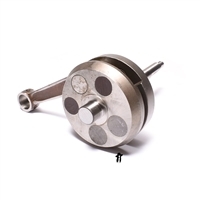 mazzucchelli 10 pin racing crankshaft for all vespa piaggio mopeds. ciao, bravo, grande, si . . .and the rest. this mazzucchelli vespa crankshaft is unique. it's got the hollow side opening for the pinasco dual carb set up, but full double lobes, so no rear carb. oem honda stock air box rubber gasket for a bunch of nopeds and scooters, of particular interest to us here in treatland this is for 1981 1982 1983 NC50, 1979 19801981 NA50, 1982 1983 NU50, 1981 1982 NX50 and a bunch of aeros, sprees and elites! 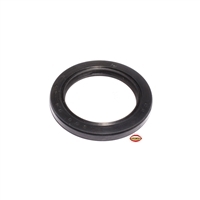 OEM honda exhaust gasket for NC50 express, NA50 express, PA50 Hobbit/Camino, NX50 Express SR, NU50 Urban express & many more, enter within for so much info you wish you never clicked. introducing the CITY PRO tire party!!! a perfect daily rider style beefy tire party pack with ultimate puncture resistant technology. this is the NEW gazelle apparently, i guess its time for a new era...who knows what the future holds for previous lovers of gazelle! HF1616 one way caged needle bearing for hobbit hackers n tuners! HF1616 one way caged needle bearing for derbi hackers n tuners! odyssey twisted pc bmx pedals!! frosty white! OEM suzuki FA50 FUEL line line clamp - 1/4"
OEM honda mb5 exhaust heat shield!!! restore that pipe back to when it rolled outta the factory!! 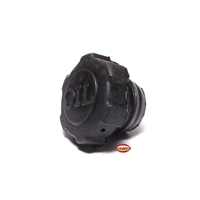 honda oem oil tank cap for NC50 express, NA50 express, NU50 urban express, MB5 (rare 1 year only honda model!!! ), 1984 gyros, and some aeros n prob other scooters I don't care about. new original OEM brake switch with wires for lotsa honda bikes like NU50, NB50, some aero, elite 50 and more! liquid cooled AND air cooled! how much more can ya ask for?! machined 46mm head for use on the DR, polini, malossi, parma, wizard kit, etc!! 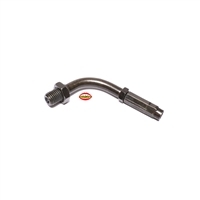 m10 x 1.25 throttle cable adjuster for lazer and general five star and more! machined 47.6mm head for use on the hobbit athena kit! original tomos decal for A55 engine covers. this fits all A55 tomos mopeds! both pedal and kickstart! HERE NOW! choose your own adventure weights for the rare minarelli c2 motor! if you have a C2 you are the coolest mopeder... hands down! this is a mystery party kinda like a toga party but not bro. check within to see which radical tires are included this week!! HERE NOW! derbi variant BRK metrakit 47.6mm nikasil aluminum cylinder kit with head for the flat reed motor !! who can resist the .6mm / 1.78cc gains? what % increase is that hmm. I've got something else to do so no time for more math right now. you do it please. puch moped new 17" SILVER five star - RIM only!! the legendary 5 star rim for puch! 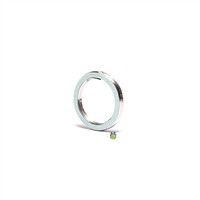 now in silver! so many possibilities you will feel powerful, and it will make you MADD!!!!! this really is a chopper seat. says it on the back! for real chopper dudes only! not sure what kind of moped this is for exactly. there are two flip up brackets on the bottom, check the pics inside!! 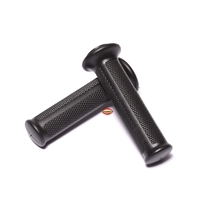 original OEM left side throttle grip for yamaha QT50 nopeds! 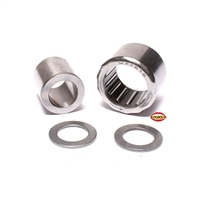 counter gear and needle bearing clutch bell for minarelli kick start motors! motobecane bidalot crankshaft for av7 and av10! original OEM sealed beam headlight lamp for honda hobbit nc50 na50 pa50 and others possibly! 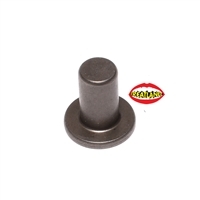 stock hobbit head machined to 46mm for use on the DR, polini, malossi, parma, wizard kit, etc!! brand new OEM hobbit intake!!! new old stock cast iron av10 kit! seize it over and over again without fear! brand new complete kick start unit for motobecane av10!! what a time to be alive! OEM replacement inlet guide for the stock air box found on suzuki fa50! its a mini velocity stack!! 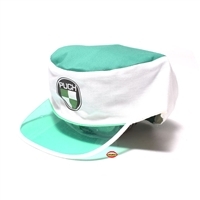 one size fits all puch hat. 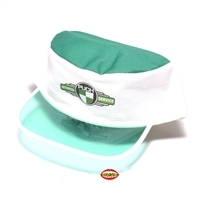 although this is kinda a small hat, so keep that in mind. OEM honda express rear fender bracket. 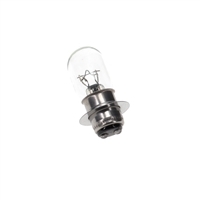 fits 1977-1981 NC50 express and 1979-1981 NA50 express II. OEM honda hobbit pa50i and pa50ii complete LEFT side fork leg assembly! fits all 1978 - 1983 pa50i and pa50ii models! 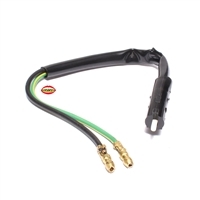 OEM suzuki fa50 shuttle stock front brake cable, perfect replacement for all fa50 models. 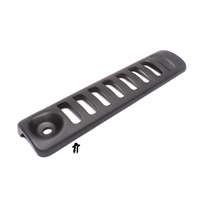 This one is gray and does not include the rubber boot, spring, knurled adjustment nut or barrel end!! new performance hobbit belt!! if you want OE quality without paying OE price, look no further. super high quality production and it shows! new performance wallaroo belt!! if you want OE quality without paying OE price, look no further. super high quality production and it shows! 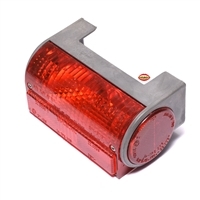 this is a rectangle light for piaggio vespa ciaos, we aren't sure the exact year/model, but we are fairly certain that these went to a weird ciao, or even a superbravo/bravo 3. and if you know for sure, let us know! 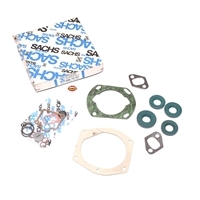 original, new old stock sachs gasket and seals set in the box for sachs 505 engines. what a piece of history! 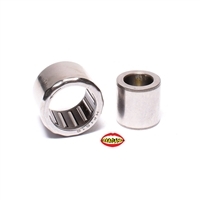 one rod, clutch lifter for honda mb5! OEM replacement kick start rubber for all honda nopeds!! all expresses! urban express! yes! 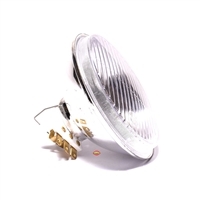 did you break the lens on your 5" guia headlight? probably not, but just in case, we now offer replacement lens. how cool! legendary big bore kit now adapted for honda hobbit!!! huge fins, 47mm single ring piston, and that good airsal quality. gotta take some meat outta your case for this one. shut it down at the rally. smallest of the 3 bottles we have! take this canister anywhere, fill with gas and toss it in a backpack. wont leak because it has o-rings sealing off each screw-on lid! even has a built in SPOUT that flips around and screws in for easy pouring!! hint: the smallest one fits in the treats satchel!! medium size of 3 bottles we have! larges of the 3 bottles we have! best levers ever in a multitude of colors, + special one time bonus! wow! motobecane doppler performance exhaust pipe - FULLY CHROME! brand new decomp valve SPRING for hobbit! 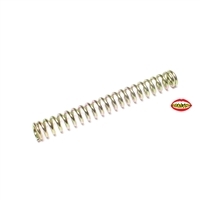 OEM stock intake INSULATOR for many honda mopeds like hobbit, camino, PA50, PA50II..
OEM replacement gear retainer spring for the suzuki FA50 + FZ50. original OEM plastic speedometer drive gear for honda NU50 urban express and others possibly! OEM honda hobbit, camino, pa50 and express NA50 NU50 NC50 10mm wrist pin clip!! the new and improved puch maxi long racer seat! this one is ready to mount with no cutting or hacking required. 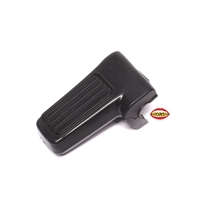 sits low like you want it with racer bump on the back so you don't fall off at high speeds! oem replacement LEFT side fin damper cube things for honda mb5 cylinders. oem replacement RIGHT side fin damper cube things for honda mb5 cylinders. OEM honda hobbit, camino, pa50 stock 40mm piston and ring set! For 1981 - 1983 pa50II but could definitely work on other years and models as well! 1983 pa50II, 1979-1980 NA50 express II and 1977-1981 NC50 express. found on honda hobbit nc50 na50 pa50 and others possibly! OEM honda decompression valve stem seal for hobbit, pa50i, pa50ii, and camino! OEM replacement front brake arm for all honda pa50 hobbits from 1978 - 1983!! spoke wheels only!! 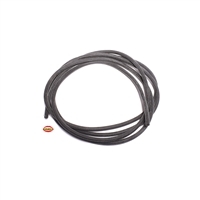 OEM replacement barrel for honda hobbit pa50 rear brake cables!! this part number is specifically for hobbit, but these should work perfectly on nc50 na50 and nu50! 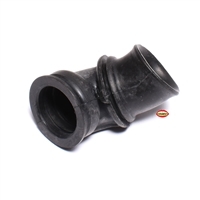 oem clamp for the airbox rubber connector on honda mb5 and many many more! rebuild kit for dellorto SHA carburetors sizes 14.12 - 16.16.
slightly different from the other one we sell! OEM honda NC50 express flywheel cover. 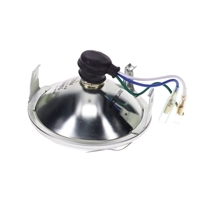 fits 1978-1980 NC50 express and 1979-1980 NA50 express II. original OEM starter clutch shoe for all honda hobbit camino PA50 PA50II mopeds!! OEM replacement speedo cable for 1978 through 1981 honda NC50 express!